Place Gammon in roasting pan. Pour over the red wine, orange juice and add mulled wine spices. Place a piece of foil on top of the tin and roast in oven for 1 hour. Baste and turn Gammon over half way through cooking time. Remove the pan from the oven and carefully remove joint. Pour juices into a small saucepan. Add cranberry sauce to juices and reduce for 5 minutes. Remove rind from Gammon and score the fat. Return to the roasting pan. Spoon some of the cranberry juices over the joint and then return to oven for a further 10-15 minutes until glaze is syrupy and fat browned. Serve hot gammon with roasted potatoes and parsnips and honey carrots. 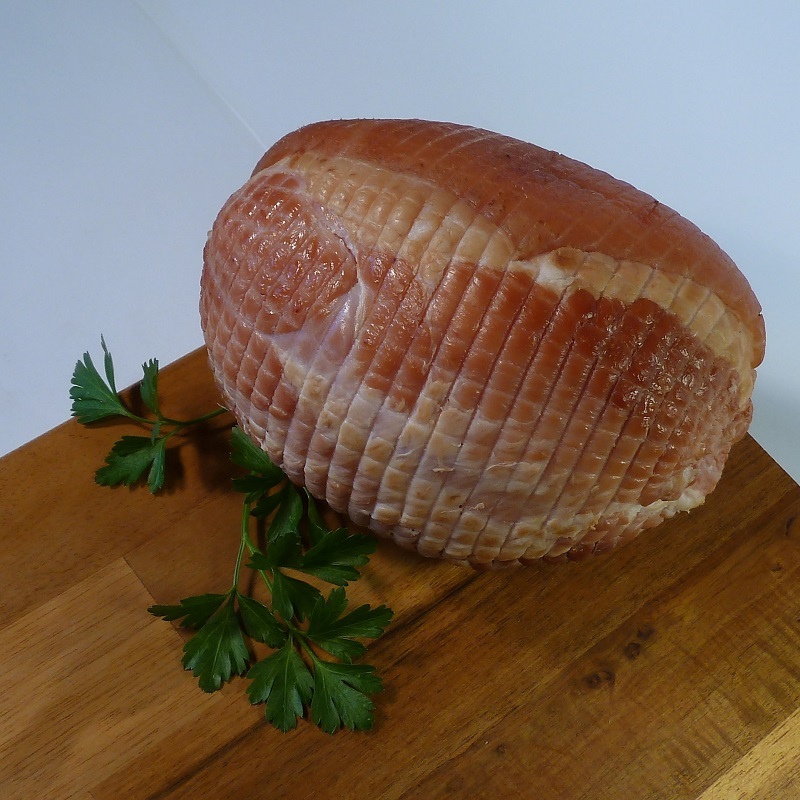 As an approximate guide allow 100g raw gammon per person for boneless joints and 170-225g (6-8oz) for bone-in joints.